List: From reducing flood risk, to saving billions of pounds on road accidents, this is how autonomous cars will affect everyone up and down the country. A joint report by WSP Parsons Brinckerhoff and Farrells, "Making better places: Autonomous vehicles and future opportunities", has now unveiled how driverless technology could impact Brits lifestyle and even the country’s landscape. With contributions from TfL, Highways England, TRL, Osborne Clarke, and others, the study focuses on the ability of autonomous vehicles (AV) becoming a Uber-like service on their own, with the ability to pick up and drop off passengers at different locations before driving off to transport someone else autonomously. CBR lists five major benefits to the UK. One of the main benefits the two companies found was that AVs will help free up as much as 15% to 20% of developable land worth "billions of pounds". This is because the use of unmanned vehicles allows to nearly eliminate all parking spaces as well as simplifying roads’ infrastructure saving space. In fact, the report estimates that a 100 hectare AV-only zone development in the heart of London could gain more than £1.25bn in additional land value. Additional land value in outer London was estimated at £300m, with land value at £15-£75m across the rest of the country. According to the Department for Communities and Local Government (DCLG), new developable land is worth £1m to £4m per hectare and "considerably more in city centres". Most London boroughs typically reach an uplift of £10m to £30m per hectare, while Westminster and the City of London uplifts are upwards of £90m. The new spaces could be used to build thousands of new homes up and down the country, create new jobs, and also create new green and open spaces. Today’s overbuilt city centres are poised to be one of the main beneficiaries from the introduction of AVs. The report has found that on average, around 30%, and in some places 45%, of city centre traffic is cause by drivers looking for a space to park their car. AVs offer the capability to eliminate this as they are connected to a network-wide real time information system. Urban safety is also another aspect highlighted. According to the DfT, in 2014, 800 deaths and 72% of all accidents in the country occurred in roads where speed limits are 20, 30 and 40 mph. "Accidents on built-up roads cost us, nationally, more than £6 billion each year, excluding damage-only incidents," the study reveals. With the introduction of AVs, for example, in Greater London, a 50% reduction in road-related casualties could generate savings of £360m each year, rising to £650m if a 90% reduction can be achieved. In addition, the elimination of parking spaces in London, could free up as much as 5,000 hectares of land, largely currently used for on-street parking. This will allow for the development of more cycling paths and expansion of street pavements. The report also claims that in urban centres there is no need for a major infrastructure investment to carry out changes as the new technology is vehicle-mounted rather than at the roadside. In suburban areas, WSP Parsons Brinckerhoff and Farrells set the vision that residential roads will become quieter social spaces and also safer, for example, for children to play. This would be possible as today’s cars would cease to circulate such areas. According to the report, on 30mph roads, almost half of drivers tend to travel above the speed limit and around 15% travel at more than 35mph. Building on that, on-street parking is also set to be eliminated and new and better cycling routes set to be created. The companies predict AVs will only use suburban residential roads to pick-up and drop-off local residents. As a consequence of freed up space, the report says old front gardens will be restored, increasing biodiversity and drainage in the area they are located in, reducing flood risk. In the report it says that around a third of front garden spaces has been paved to become a parking space. Across the country, this is equivalent to 1400 hectares of land. By converting half of that land into a garden, this would stop or significantly slow up to 2,400 litres/second of rainfall entering the system and causing flooding. The report says that "if a shared use solution for AVs was available to a suburban community, offering appropriately sized vehicles within minutes, supplied from local hubs, and with significantly lower costs than running a car year-round, then interest and demand would grow fast." The UK’s motorways are set to be one of the first places where driverless cars will be first put to test alongside drivers. The study suggest that the best long term option is to create motorways dedicated to AVs and motorways for manned vehicles. On a fully driverless route, fixed, formal and marked lanes will not be needed, as well as road signs and even speed limits. The report also suggests that high priority lanes or convoys could be created for a "pay-as-you-go motorway" with live revenue stream, irrespective of vehicle ownership. Freight lanes or convoys could also be formed to match demand outside peak times. The study claims journey times will be more reliable due to real-time connected systems and passenger comfort would also be enhanced as shockwave braking and poor driver reactions would end. In terms of security, if even only half of accidents on British motorways were to be erased, this could generate savings of £240m per year. A 90% reduction would save as much as £400m, excluding costs of delays that occur as a result of motorway incidents.. According to the DfT, 5500 accidents occurred on British motorways in 2014, including 85 fatalities and almost 600 serious injuries. AVs take-up in rural areas is likely to be driven by better access and mobility, rather than congestion reduction or land value increase. According to the report, 93% of households in rural villages, hamlets and isolated dwellings own a car (in contrast, only 56% of households in Inner London have a car). 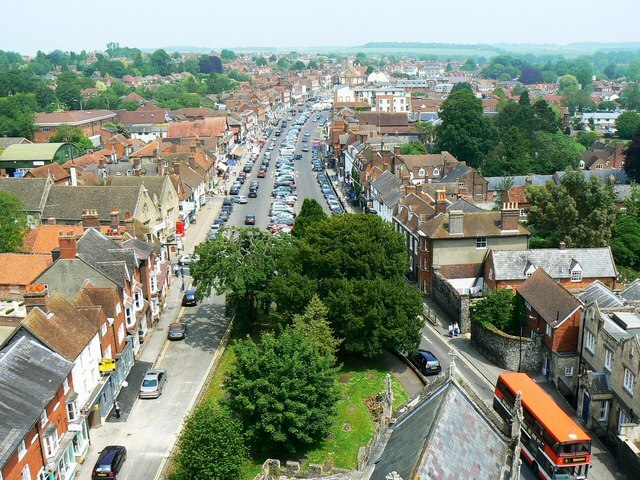 For rural centres and market towns, AVs will again free-up space and allow it to be used for new common spaces such as town squares or village centres. The study says that a share AV system will also help fight back rural isolation by boosting mobility and access for locals. This would, for example, benefit younger generations that cannot afford to buy a car or elderly people that cannot physically drive a vehicle anymore. It would also enhance access to healthcare, schools, community centres and social activities. For local businesses, AVs could also reduce the costs of deliveries and logistics, enabling them to expand their geographic outreach. Next ArticleIs the cybersecurity industry losing the war on crime in cyberspace against data breaches and data stealing?